1. 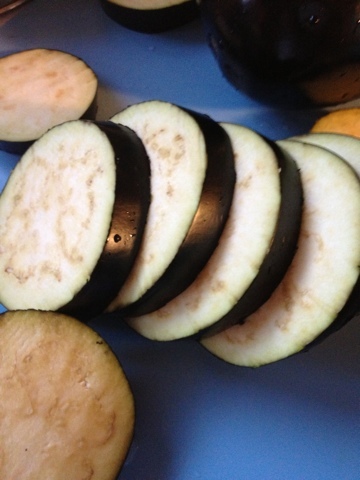 Wash and slice eggplant into even round pieces. 2. 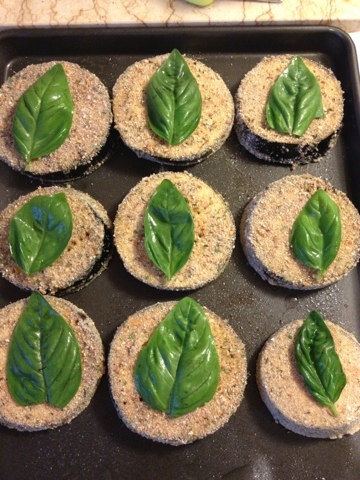 Coat pieces in egg (beat 2 eggs and a splash of milk in a bowl and soak both sides of the pieces of eggplant). 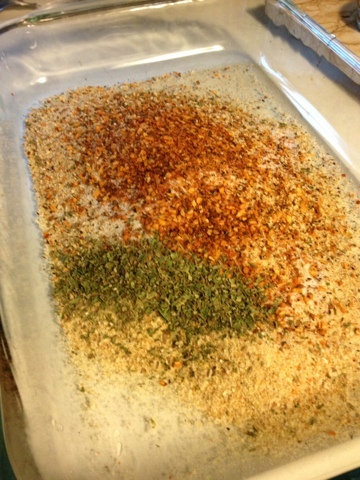 Then coat them in a mix of bread crumbs and spices (I used Italian flavoured bread crumbs!). 3. Set them on a greased cooking tray (I used Pam) and can add optional spices on top (I used basil leaves purely for decoration but they ended up giving some more flavour). 4. Cook for 30-35 mins on 350, flipping them halfway through. Add a bit of cheese on top of them and broil for 5 mins. Enjoy! 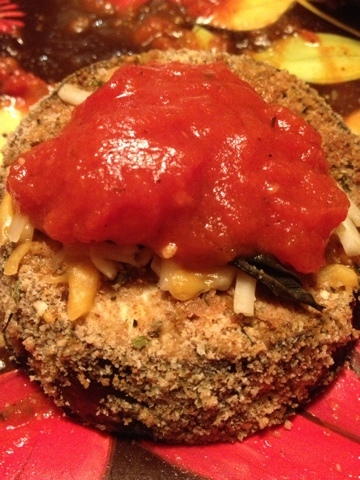 Dinner: Eggplant Parmesan served with Fresh Pasta and Tomato Sauce. 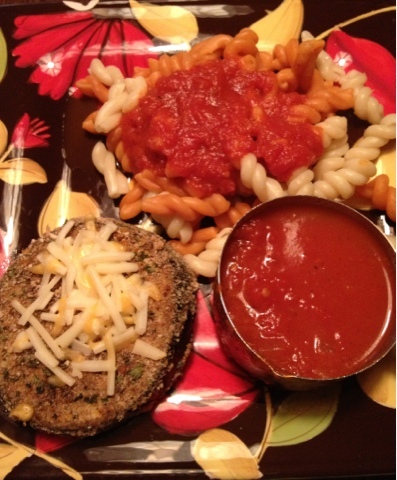 This dinner was amazing! I recommend it to anyone that likes eggplant or wants to try a new, vegetarian meal. Really simple to make and everyone in my family liked it. 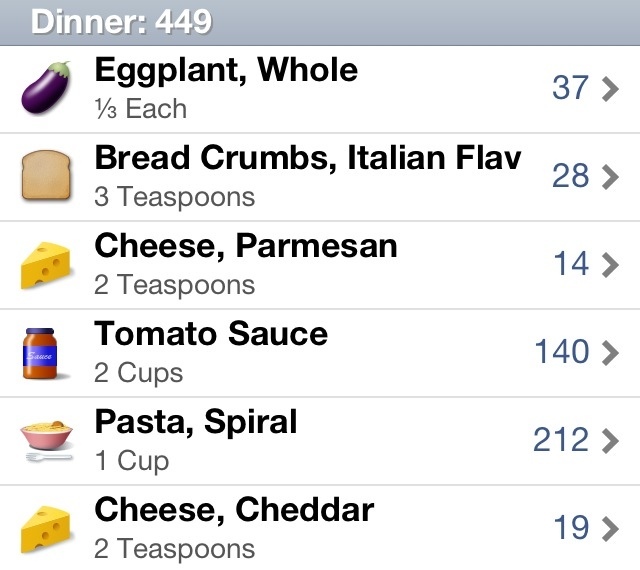 We have cut out pasta from our diet for the past 4 months but having a cup of fresh spiral pasta wasn't too bad on calories and tasted really good with the eggplant. Let me know what you think if you try it! Hope everyone's having a great labour day weekend! This looks delish! Can I cook it in a frying pan as well? You definitely could. They would cook faster, too! The only reason I bake them is to try and keep them as healthy and low-cal as possible. 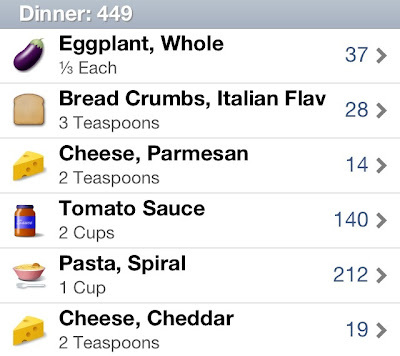 If you use a low-cal cooking spray or a bit of oil, they should cook great!